Scholarship Program Mission: The Norman Arts Council Arts Education Scholarships are intended to provide Norman children with the opportunity to attend arts programming that is offered outside of schools. Note: Please read application guidelines thoroughly to ensure timely completion of all requirements! ELIGIBILITY: The Norman Arts Council invites students in grades K-8 who live or go to school in Norman, Oklahoma to apply for a scholarship to offset the cost of an arts education experience provided by an established arts organization or educator. APPLICATIONS: The NAC has recently restructured their scholarship criteria, so there is new information. Only Applications submitted through the on-line process will be considered for funding. Applications must be 100% completed for consideration. "I don't know" or "unsure" answers will deem an incomplete application. Applicants will not be turned down for not meeting all of the criteria. It is encouraged, however, to try to meet as many as possible and to address the criteria directly in the proposal. AWARDS: Award notification will be by email. Due to limited funds, applicants may not receive the full funding requested and/or may not receive any funding at this time. DISBURSEMENT OF FUNDS: Upon award notification and receipt of agreement, the Norman Arts Council will give the awarded funds directly to the organization or individual implementing the program applied for on behalf of the student. Should the program be cancelled for any reason by the organization or individual implementing, the funds will be returned to the Norman Arts Council’s scholarship program and may be applied for during the next cycle. COMMITMENT TO PROGRAM: Upon award notification, the student’s parent or legal guardian will receive an agreement that states they will commit to ensuring the student’s regular attendance to the program. If the student fails to attend at least 75% of the program, the student will be asked to withdraw; any remaining funds will be returned to the Norman Arts Council’s scholarship program; and the student will not be eligible in the future. AVAILABILITY OF FUNDS: The total amount of scholarship funds available may be awarded to one applicant or divided among multiple applicants. The Norman Arts Council reserves the right to not award any scholarships should there be a lack of qualified candidates or shortage of scholarship funds. LIABILITY: Award recipients and their guardians agree to indemnify and hold harmless the NAC, its employees, its agents, and its Board of Directors, in connection with any action, claim, lawsuit, charge, or proceeding, including but not limited to any civil action in State or Federal Court, or before any State or Federal agency, which is made or brought against recipients, NAC, and/or any of NAC's employees, agents, or board members, by any person or entity, based upon and/or arising out of a recipient's use of the funds. APPEALS: Any applicant who is denied a scholarship in whole or in part may only appeal directly to the NAC Education Committee on the following grounds: 1) discrimination against the applicant or its membership on the basis of: race, color, national origin, gender, religion, age, or disability, which is shown to have materially and adversely affected the outcome of their application; 2) illegal activity on the part of the Education Committee or a member of the Education Committee, which is shown to have materially and adversely affected the outcome of their application. Norman Arts Council introduced changes to the 2nd Friday Norman Art Walk in October and is evolving them to continue to best serve participating artists, performers and 2nd Friday audiences while also keeping the continually growing event safe, accessible and fun for everyone. Norman Arts Council created a designated Arts Vendor Area south of the intersection of Main and Jones for the October 2nd Friday Norman Art Walk. That Arts Vendor Area will be moved to south of the intersection of Main and Peters beginning in November to locate the talented artists, vendors, crafters and makers more centrally in the Art Walk footprint. Vendors had previously setup on sidewalks throughout downtown Norman during Art Walk, but increased attendance and prevalence of vendors created safety and accessibility concerns. Interested arts vendors — selling handmade goods — can apply monthly to be a vendor by the 1st Friday of the month by visiting 2ndFridayNorman.com and submitting an application with a $30 vendor fee. Late applications will be accepted after the 1st Friday with a $100 fee. October also introduced changes regarding street performers. Live music in the air adds to what makes 2nd Friday so vibrant, but to ensure that each musician is given their chance to shine without conflicting noise, Norman Arts Council asked that street performers apply for a permit with a $20 fee to setup in assigned locations. The fee associated with the permit has been waived, but NAC still requests that interested entertainers apply to perform by the first Friday of the month at 2ndFridayNorman.com to get an assigned spot. Changes concerning the serving of alcoholic beverages at select participating locations are a matter of state law, and those changes will remain in place in accordance with those laws. Norman Arts Council is kicking off its 2019-2020 Grant Cycle to help fund a variety of Norman community art events, projects and initiatives. A representative from any organization interested in applying for an Arts Project Support Grant must attend one of two grant workshop meetings set for 7 p.m. Monday, November 5 and 4:30 p.m. Wednesday, November 7, both located at MAINSITE Contemporary Art, 122 E. Main. To be eligible to apply for a project grant, the entity must be a non-profit 501(c)(3) or equivalent organization based in Norman, OK that is producing an event or series of events rooted in the arts. Organizations can apply for a maximum award of $18,000. Arts Project Support Grant applications will be due at 11:59 p.m. Friday, January 18, 2019. The applications will be reviewed in February, recommended to the Norman Arts Council Board in March and award notifications will be sent in early April. Application is available at normanarts.org/grants. The Norman Arts Council is a steward of a portion of the City of Norman's Hotel Motel Property Tax Fund. This makes it possible for the Norman Arts Council to grant a generous portion to organizations working in the arts and arts education in Norman Oklahoma. In addition to annual Project Grants, Norman Arts Council awards Operational Support Grants on a two-year cycle (new applications will be available next year), as well as Sudden Opportunity Support (SOS) Grants and Arts Organization Non-Profit Management Grants on a rolling basis. Since the creation of the Hotel Motel tax fund by the City of Norman in 1982, the NAC has administered over 2 million dollars in grants to eligible organizations. This granting program was designed to respond to the growing needs of arts and cultural organizations in the Norman community. The Hotel Tax Grant provides both financial and educational support for arts and cultural organizations. In addition, the program allows both citizens of Norman and its visitors to enjoy a wide variety of quality cultural offerings. A special emphasis is placed on projects that will attract overnight visitors to Norman, thereby increasing the amount of money available in the fund. Funding for this program comes from 25% of Norman’s Hotel Motel Guest Room Tax, which is paid by overnight visitors in Norman’s hotels, motels, and bed and breakfasts. Seven Grant Awards panelists are nominated by Roundtable for a three-year staggered term and are approved by the NAC Board of Directors. The Awards panel carefully reviews all grant applications and makes funding recommendations to the NAC. After acceptance by the NAC Board, the recommendations are then forwarded to the Norman City Council for final approval. Norman Arts Council’s Arts Project Support Grants have helped support popular and beloved Norman events and organizations like the Norman Philharmonic, Medieval Fair, Pioneer Library System’s Big Read, Norman Film Festival, the Oklahoma Nutcracker and more. Enjoy an afternoon of music, instrument making, and storytelling. Join Erin Yeaman, professional cellist and storyteller, as she guides you through the vast world of children’s literature and music. Learn how to better incorporate classical music into your family life, daily routine, and everyday fun. You will receive information on local classical music events as well as supplies for you to take home and begin your own Tunes and Tales adventure! Each parent and child duo will go home with a book and your very own recorder. Please register by Tuesday, October 16! 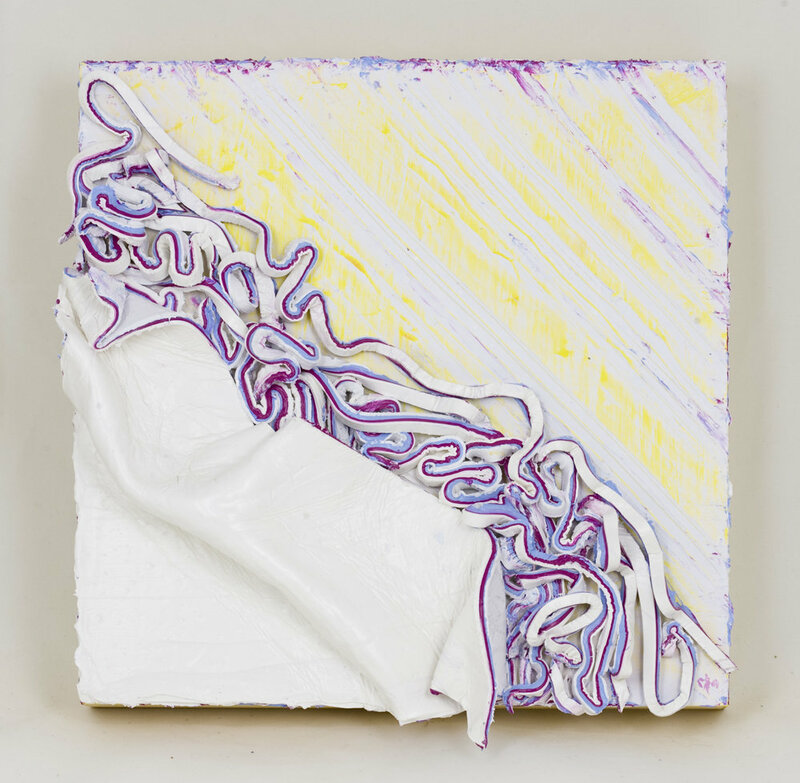 Touchy-Feely will showcase four emerging artists who exploit the objectivity of paint in unexpected ways. This group exhibition opens Friday, October 12 at MAINSITE Contemporary Art, 122 E. Main, Norman and runs through Saturday, November 10. Touchy-Feely features works by Caitlin Albritton, Sasha Backhaus, Sara Cowan and william walker larason. The exhibitions will be celebrated with an opening reception from 6 to 10 p.m. on Friday, October 12 with a closing reception scheduled for 6 to 10 p.m. on Friday, November 9. Both receptions occur in conjunction with the free 2nd Friday Norman Art Walk — presented by Norman Arts Council — that takes place monthly in the Walker Arts District of Downtown Norman. The exhibition was curated by Sarah Clough, an artist and curator raised in Oklahoma and now based in Baltimore. She exhibited her own works at MAINSITE in late 2017 with an immersive solo exhibition The Bright Side. Albritton, a native of Tampa, Florida, transforms flat surfaces into dimensional collages of textural topography through a series of scrapes, hacks, rips and peels, capturing a moment of textural excitement as a means to immerse viewers into dimensional beauty. Backhaus grew up on a farm in southwest Iowa, an environment of machinery, crops and livestock that fuels her interdisciplinary, conceptual art practice. The patchwork fields and infinite rows of growing crops provide fertile grounds for her work, which explores environmental relational spaces. Utilizing craft-based materials, Backhaus creates hypnotic, alien landscapes comprised of bursts of color and pattern. Norman-native Cowan is a visual artist, curator, and writer. She is director of Deluxe Winter Market, founder of OKC ART TEAM, and member of Factory Obscura art collective. An advocate for inclusivity, she has worked on numerous community art initiatives. 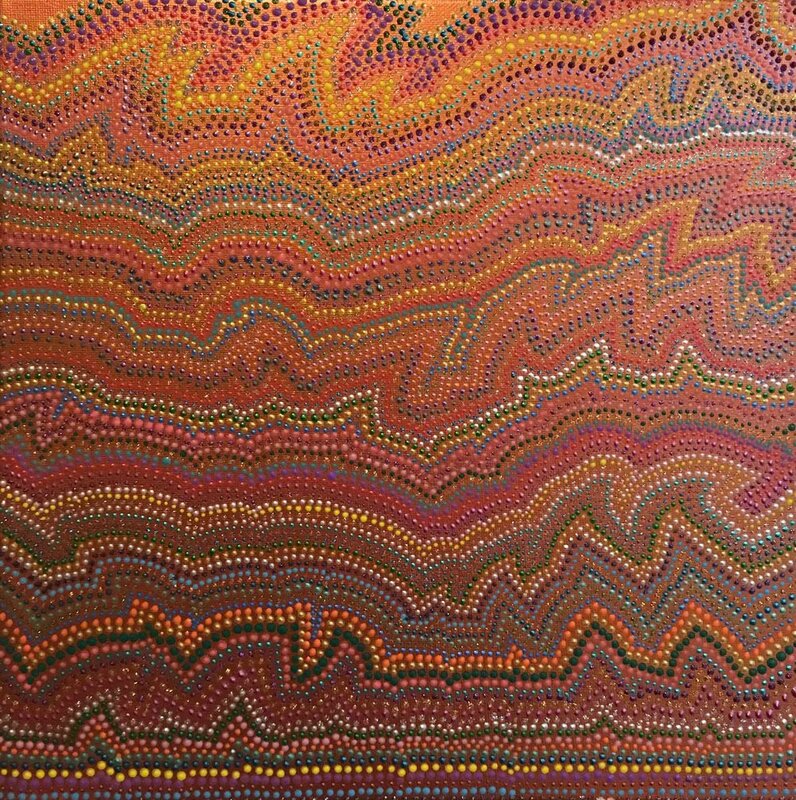 Cowan’s intimate, methodical works in paint are testaments to sublimely meditative acts, when exponentially repeated, create work that points to the beauty within the minutiae of the world. william walker larason is an illusion artist, transcending contemporary media through the manipulation of found objects. Reflecting the fight and boundary shift between untouched ecosystems and human encroachment into those natural spaces, larason’s flora and fauna are portrayed through industrialized materials like resin and foil, navigating a material history of adoption and disconnected Native American ancestry. Abstract artist Steve Hare will also have works on display in the Library Gallery. Working primarily with acrylics on canvas and wood, Hare utilizes dry wall and taping knives in lieu of traditional brushes to develop visual texture within a piece. Hare has produced works for the Oklahoma Sports Hall of Fame, professional athletes, entertainers and more. MAINSITE Contemporary Art is open from 11 a.m. to 4 p.m. Tuesday through Saturday. Both daily gallery hours and receptions are free and open to the public.